Highlights of the 2013 Design Awards Jump to media player An exhibition featuring contenders for the sixth annual Designs of the Year competition has opened at the Design Museum in London. 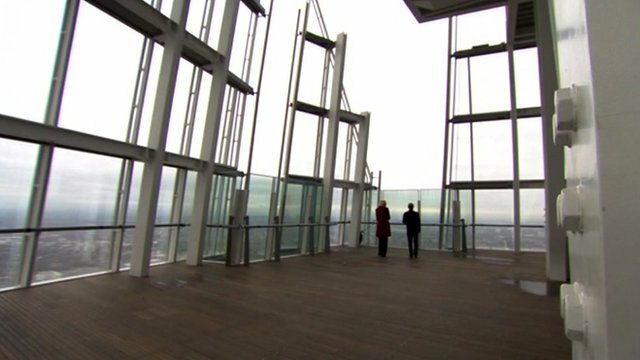 Take a tour of The Shard's roof Jump to media player BBC News gets a preview of the viewing platform on the 72nd floor of The Shard in London, western Europe's tallest building. An exhibition featuring contenders for the sixth annual Designs of the Year competition has opened at the Design Museum in London. It features the best designs from around the world in the past 12 months across seven categories: Architecture, Digital, Fashion, Furniture, Graphics, Product and Transport. This year's contest features more than 90 nominations, including the celebrated Olympic Cauldron from the London 2012 Games, western Europe's tallest building The Shard, a non-stick ketchup bottle, an anti-diarrhoea kit, and a wheelchair that folds completely flat. 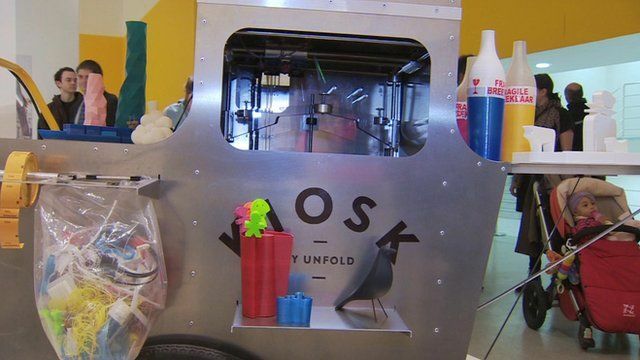 Curator Pete Collard showed BBC News just a few of the innovative creations on display.